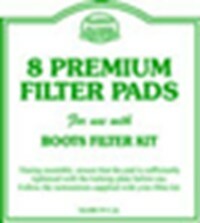 Replacement pads for the Boots wine filter. Packed in 8's. Boots the Chemists may have stopped stocking wine making equipment, but we have the replacement pads for their filter kit. Filtered wine sparkles and makes your taste buds tingle!